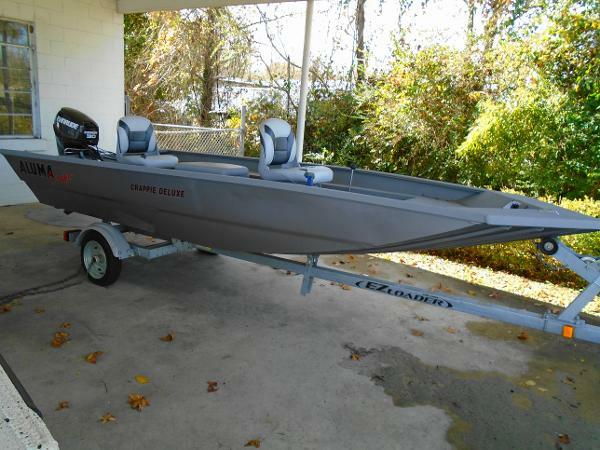 2015 Alumacraft Crappie Deluxe Everything's gotta be just right: bait size, bobber size, jig size, line diameter. We understand. Whether you fish for crappie, bluegill, perch, or whatever's bitingthese boats are panfishing beauties. 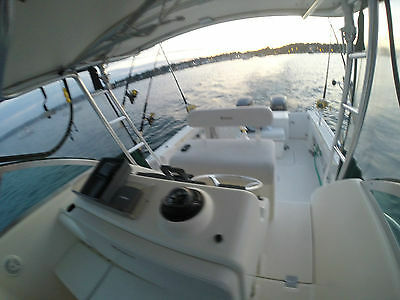 Stable on the water with room to fish both sides, comfortable seats and easily accessible livewell . The modified-V hull rides smooth, handles precisely, and makes it easy to control boat position. 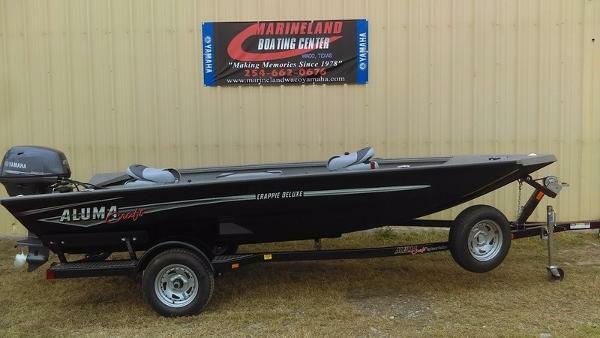 This is a NEW noncurrent boat and NEW 30 HP Evinrude, and New E Z loader trailer The boat has been upgraded from the standard "Tiller " steering to remote control with Stick Steering allowing the operator to sit in the forward seat. This design is especially nice for pole or fly fishing with nothing but a little bit of bow in front of the driver.